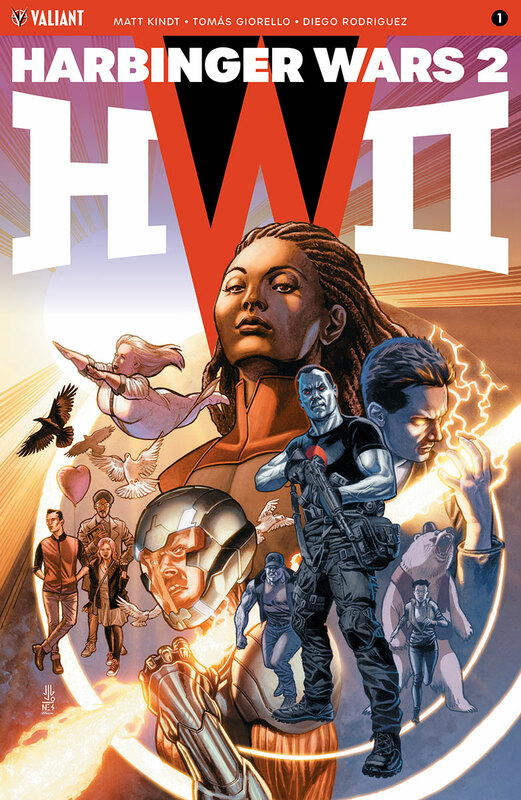 Valiant is proud to announce X-O MANOWAR COMPENDIUM ONE – a MASSIVE, 800+ PAGE COLLECTION of the chart-topping, award-winning series that relaunched the Valiant Universe, released for the very first time in a value-priced softcover format! On August 22nd, go back to where the war began with this first, gigantic volume in a value-priced paperback series that collects the complete adventures of Valiant's armored Visigoth, starting with the first two years of Aric of Dacia’s journey from barbarian prince to superpowered protector in X-O MANOWAR (2012) #1–29, UNITY (2013) #1–4, and ARMOR HUNTERS #1–4! 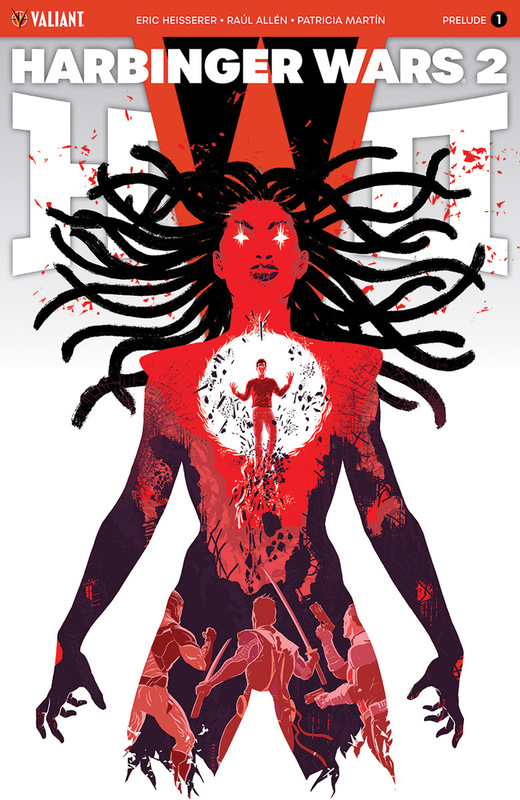 Beginning with award-winning and critically beloved runs by New York Times best-selling writers Robert Venditti (Green Lantern, The Flash) and Matt Kindt (UNITY, Grass Kings), and featuring incredible art by Eisner Award winner Cary Nord (Conan, Star Wars), Doug Braithwaite (BLOODSHOT U.S.A.), Lee Garbett (Lucifer), Diego Bernard (NINJAK), Trevor Hairsine (DIVINITY), and more, a celebrated, star-studded cast of Valiant’s biggest talents comes together right here for one of the best-selling and longest-running superhero series of the modern era! 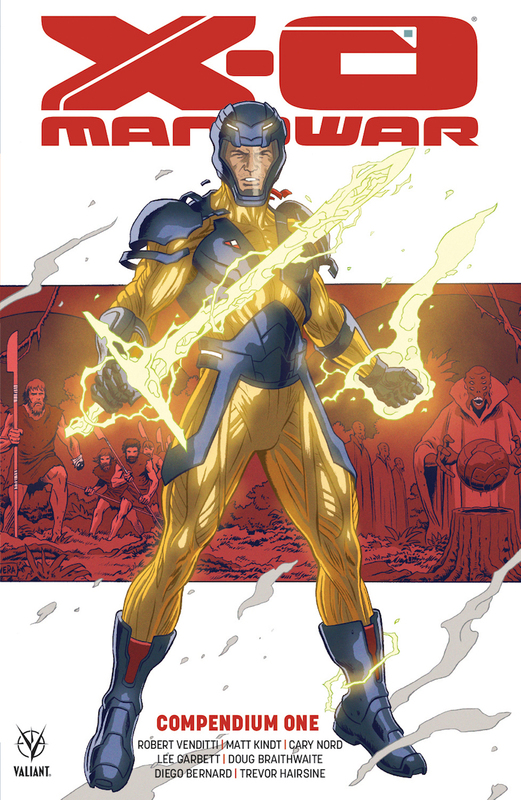 As Aric of Dacia makes his long-awaited voyage back to Earth within the pages of Matt Kindt’s best-selling 2017 series, discover why the first two years of X-O Manowar’s unrelenting return to comic store shelves everywhere has been hailed by fans and critics alike as a vibrant and vital introduction to the Valiant Universe. 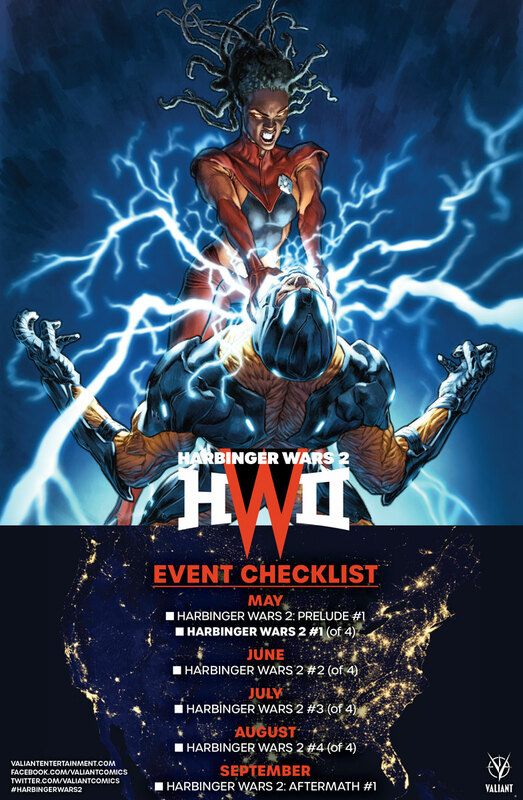 Following in the proud footsteps of the HARBINGER WARS COMPENDIUM and featuring the first appearances of Ninjak, Colonel Capshaw, the Vine, GIN-GR, and dozens more iconic Valiant characters, X-O MANOWAR COMPENDIUM ONE is a breathtaking entry point into one of the most celebrated superhero universes in comics, from one of the best-reviewed publishers today! On August 22nd, get the powerful opening salvos of X-O MANOWAR (2012), UNITY, and ARMOR HUNTERS in one oversized collection! But first: the blockbuster creative team behind Valiant’s visionary sci-fi epic DIVINITY take the helm for an ALL-NEW ARC and FEROCIOUS NEW JUMPING-ON POINT in X-O MANOWAR (2017) #15! On May 23rd, master storytellers Matt Kindt (HARBINGER WARS 2) and Trevor Hairsine (ETERNITY) reunite to reveal a battle-scarred mission from Aric of Dacia’s youth… prepare to witness the landmark episode that forged the heir to the Visigoth nation into the world-smashing, interstellar champion now known as X-O Manowar! 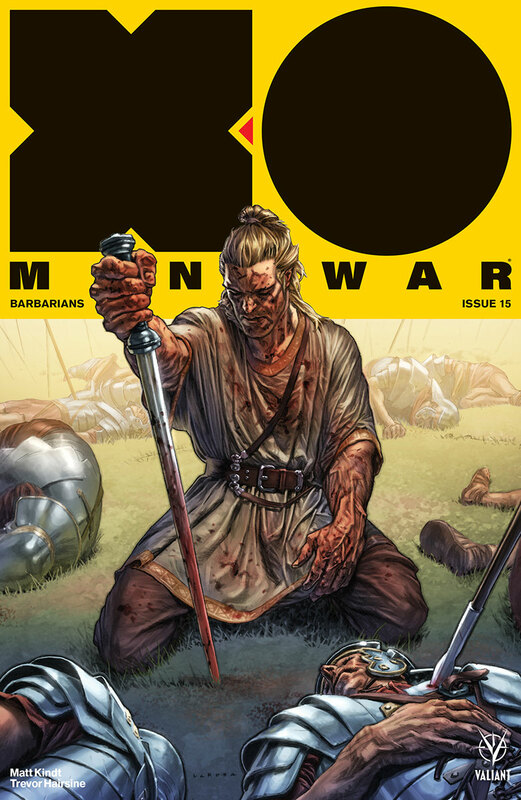 On May 23rd, jump on board one of the most acclaimed series in comics today as visionary creators Matt Kindt and Trevor Hairsine reunite for a thrilling, four-part melee of blood and steely-eyed daring at the height of the barbarian age with X-O MANOWAR (2017) #15 – featuring covers by Lewis LaRosa (BLOODSHOT SALVATION), Jim Mahfood (Grrl Scouts), Veronica Fish (Spider-Woman), and Viktor Kalvachev (Blue Estate)!